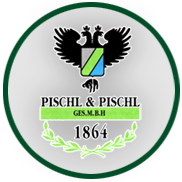 We are happy to welcome you to PISCHL & PISCHL 1864. On this site we have compiled the most important information for you. You are very welcome to contact us anytime. True to our motto “competence in wool” we are committed to the high standard of always bringing in all of our experience, our passion and deep understanding for our international customers in the execution. What can we do for you – what do we make? We have been the suppliers of leading clothing manufacturers from all over the world for generations. We are partners and niche product makers of ready-to-wear clothing manufacturers. A specialty of our range are our made-to-order products.